WASHINGTON — If elected president, Donald Trump has pledged to scrap a work visa program that brings 300,000 student workers each year to the U.S. Among the businesses that would be forced to stop hiring foreign labor: Trump’s own. The Trump Organization declined to say how broadly it uses student visas, though it has availed itself of such labor for many years. 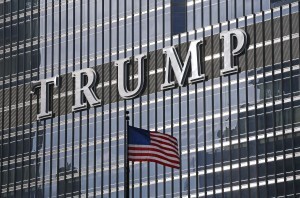 In 2008, an executive at Trump World Entertainment Resorts told the Courier-Post newspaper in Cherry Hill, New Jersey, that Trump’s three casinos in Atlantic City had employed 75 such student workers in the past year. But at least in the case of the Trump Tower in Chicago, the jobs made available to foreign workers were among the most enviable in the hotel. The Terrace Restaurant — which requires a $100-per-person fee simply to reserve a table — is a font of tips for the wait staff and hosts. Former employees say that servers could take home more than $500 on a good shift. Student visa holders who worked at Trump Chicago defended the program as a legitimate cultural exchange. Cearbhalláin said her stint in Chicago would likely lure her back to the city in the future and served as a legitimate cultural exchange. Jeff Horwitz of the Associated Press wrote this report.